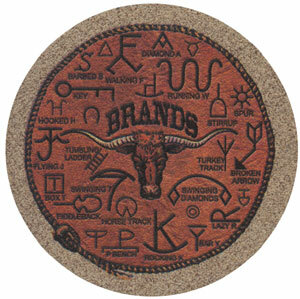 Add a Cowboy flair to your bunkhouse with this fine celebration of one of the West's most unique features - Ranch Brands. Always be sure to remember that Cowboys always ride for the Brand, as our pal Red Steagall always likes to say. The set comes with four matched coasters. These coasters are made right here in Arizona.